Perhaps you recently added your name to a paint party guest list for the first time or are simply interested in learning more about the fine art form. Make your inaugural painting experience a satisfying one by learning about common mistakes beginner artists make. Remember that everyone, even seasoned professional painters, deal with blunders and oversights at times. Begin with thin paint, so you can build on the surface as you wish instead of dealing with a mess that takes days to completely dry. Starting with thick paint also makes it difficult to create the details you want. Mix no more than three colors at a time to prevent the “muddy” look of too many combined hues. Stop mixing as soon as you achieve your desired color, and remember to work with small portions of paint and go from there. It is a lot easier to blend small amounts of the product, so you don’t waste it. Experiment with medium and large brushes instead of always going for a small option, whether you are at a paint party or anywhere else with a blank canvas. Small brushes significantly extend painting times and can limit the artwork because it features the same type of stroke throughout. Using different brushes adds character to your piece. Do not get worried about making mistakes. They are part of the learning process and help you know what to do and not do during your next paint party. There is no reason to ever feel embarrassed or bad about yourself for any errors you make, as plenty of painters have made them before you. Solve these and other fine art mistakes easily when you schedule paint party events with Artherapy Studios. 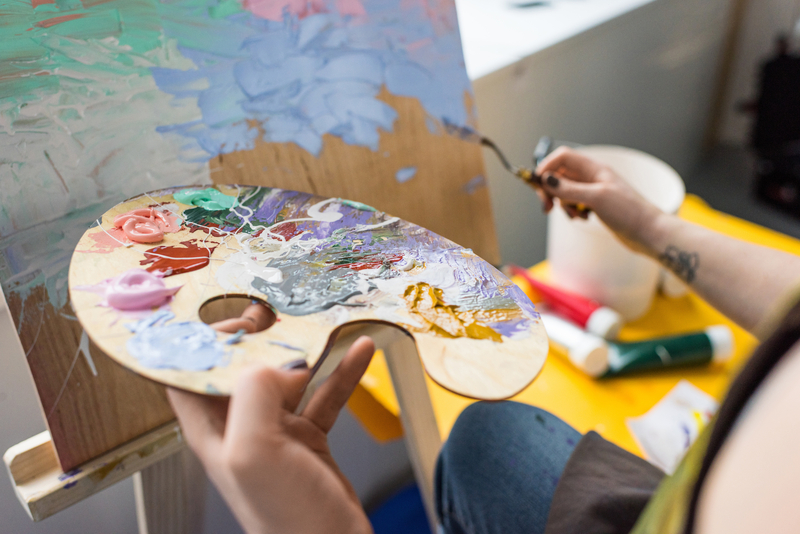 The St. Louis, MO-based studio offers arts and crafts classes for children and adults, including wine painting parties and team-building events. The studio also offers paint party deals; if you schedule three parties over the next year, you get $5 off per guest, with a minimum of 10 guests per event. Call (314) 249-2800 or visit the studio online to book your party today.